Join us for a FREE Demo on Saturday, September 14th 2013. Feel free to spread the word & bring your family and friends along!! Spice up your Saturday afternoon Bollywood Style!! 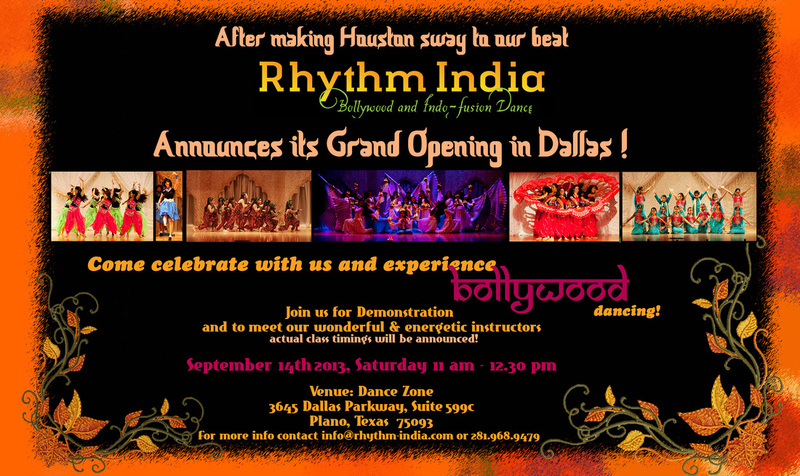 Get in shape, have fun and dance to the latest Bollywood tunes. Meet new people, learn to dance and have the most enjoyable workouts of your life! Age is no limit, ANYONE CAN DANCE! !